One of the happiest moments is when I get to unbox a brand new bike! Regardless of whether the bike is my own or a friend's, we are all happy for each other. 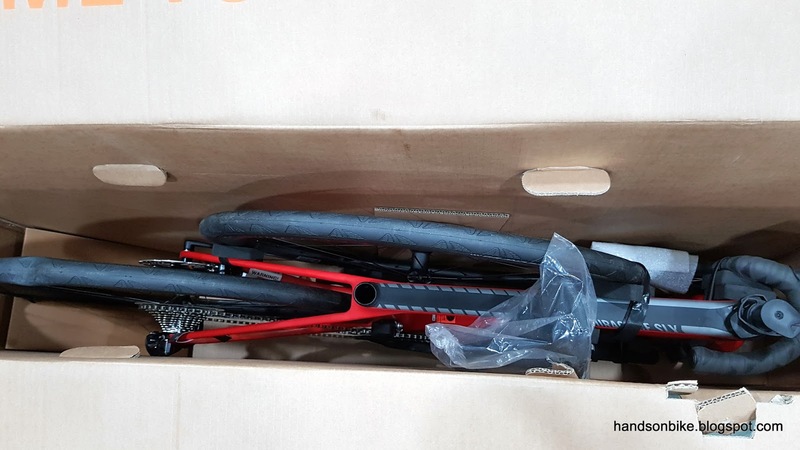 It also helps to have friends around when you unbox a bike, as they will all gladly help to assemble the bike, followed by taking turns to go for a spin. I feel that riding a new bike with friends is the best way to share and spread the joy! As you can already tell from the title of this blog post, it is about a new bike. However, I just want to elaborate on the background and reason for getting this new bike, before introducing it. My first road bike was the Merida Scultura 5000, and it was a great bike to ride. When I first got it, it was a partial Ultegra 6800 groupset with mechanical shifting. Along the way, I made many modifications and it eventually ended up as a full Ultegra Di2 groupset. I have no regrets getting that bike, it was a bike that fitted me well and I really enjoyed that bike. However, my heart was attracted to the latest trend and technology in road cycling: Disc brakes. This trend of road bikes using disc brakes started a few years back, but the technology was not yet mature. 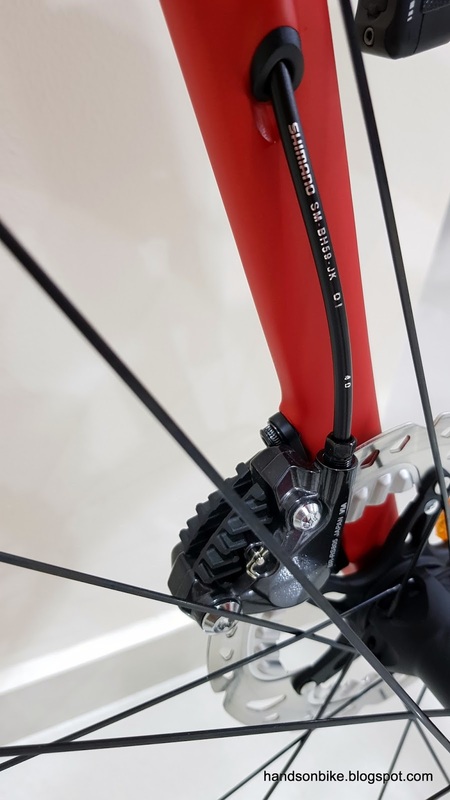 4 years ago, SRAM was the first to introduce road hydraulic disc brakes on the Red 22 groupset. This was swiftly followed by Shimano, who introduced the non series ST-R785 hydraulic road shifters with Di2 shifting. However, the axle standards, rotor size standards and brake caliper mounting standards had not been standardized yet, so there was a wide variety of specifications. Earlier this year, the new generation of Di2 road shifters with hydraulic braking was finally revealed, the Dura-Ace ST-R9170. 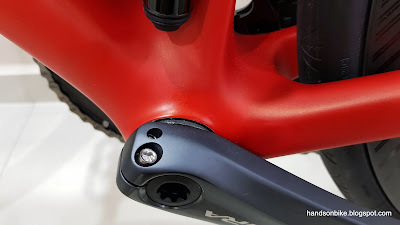 The main difference for this generation is that the shifter size has been greatly reduced, until it is almost similar to the standard mechanical versions. From left to right: Hydraulic braking + Di2 shifting; Mechanical braking + Di2; Mech + Mech; Hydraulic + Mech. 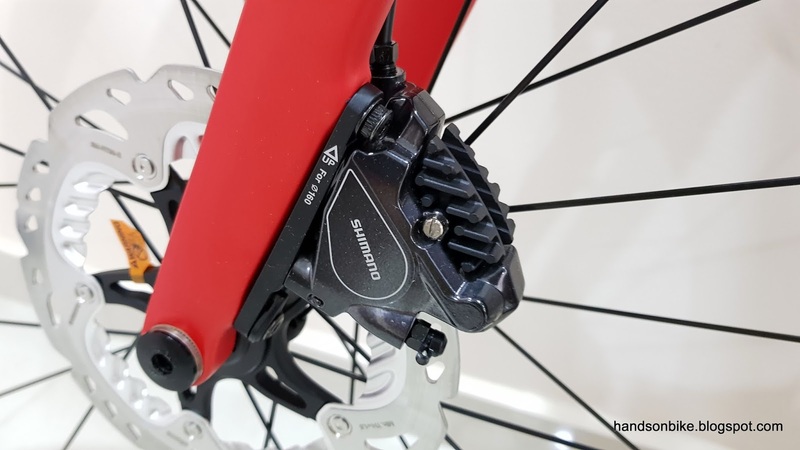 I felt that the time was right to get a road bike with hydraulic disc brakes, as the road disc standards have finally been more or less standardized. Upgrading the Merida is not possible, as a frame and fork with disc brake mounting is required. 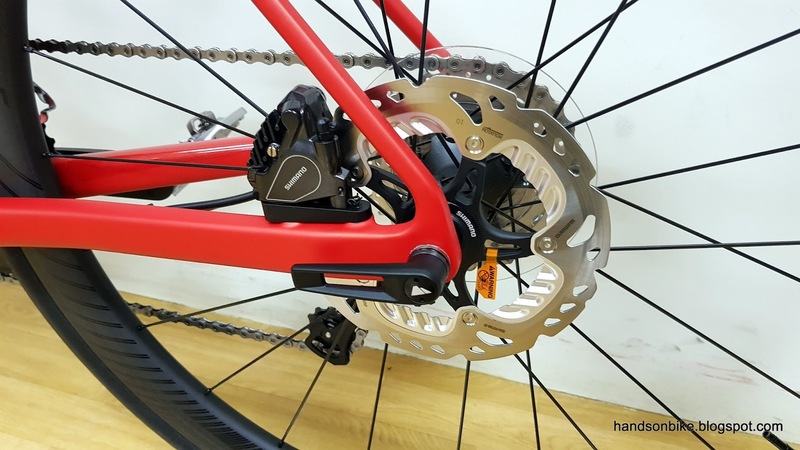 Also, disc brake specific wheels are also required. 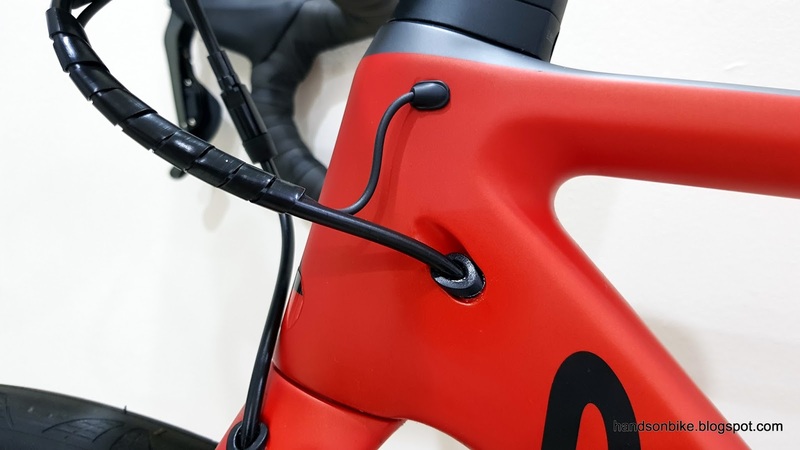 Therefore, it makes more sense to sell away the Merida road bike, and get a new bike that is specific to road hydraulic disc brakes. I considered many brands and models of road bikes, using my own set of criteria to screen through the wide range of road hydraulic disc brake bikes. 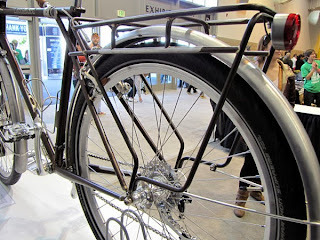 I also considered getting a bike frameset and building it up myself, versus getting a full bike. It all comes down to the value and features of each bike model. 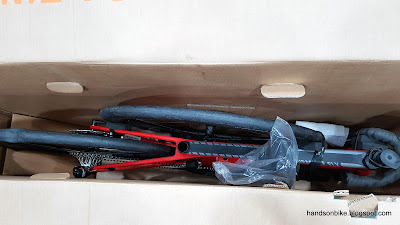 While I was shopping around for this new bike, I had already sold my Merida road bike. This was not an issue for me as I still have many other bikes to ride in the meantime. It came to my attention that Canyon was having a sale, in celebration of the Tour de France which was going on at the same time. 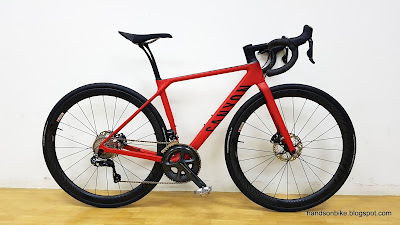 A Canyon frame is on my shortlist, but then I found that some of the complete bikes were going at a great discount. 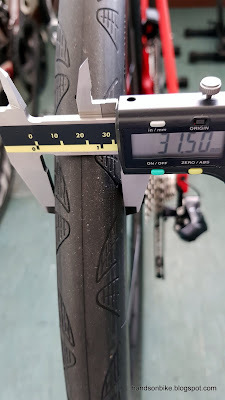 I did some calculations, and the result was that it was better value to get a complete bike from Canyon, as the price also includes the wheelset which can be quite costly on its own. One benefit of getting the complete bike is that I will have a bike ready to go, instead of having to wait for all components to be available before building up the bike. If not for the huge discount on the complete bike, I would have gotten the frameset instead. Canyon has three main types of road bikes, the aerodynamic Aeroad, the lightweight Ultimate, and the comfort based Endurace. All these three types had good discounts going for hydraulic disc brake models with Di2 shifting, although none of them had the latest Dura-Ace ST-R9170 groupset. Finally, I decided to go with the Endurace model, as it has a less aggressive geometry compared to the race-ready Aeroad and Ultimate models. 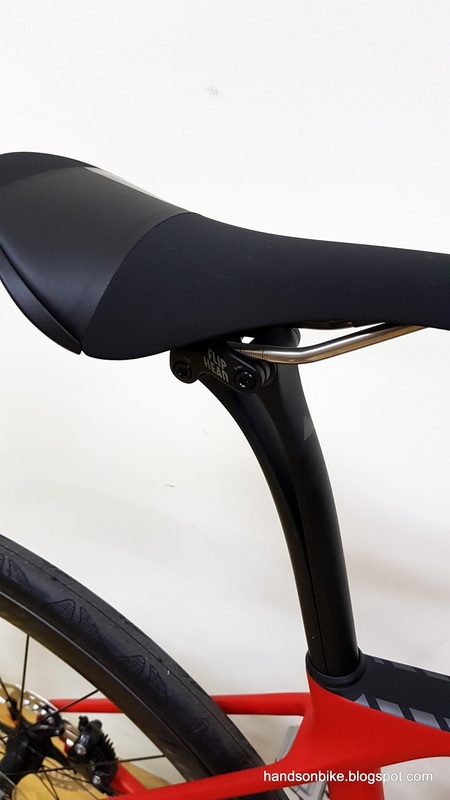 Also, it claims to be more comfortable due to the special suspension seatpost. For my kind of riding, I don't need the most aerodynamic frame, as my cycling outfit and gear is not aerodynamic anyway. The Ultimate frame is more lightweight, but the more aggressive geometry is not for me. 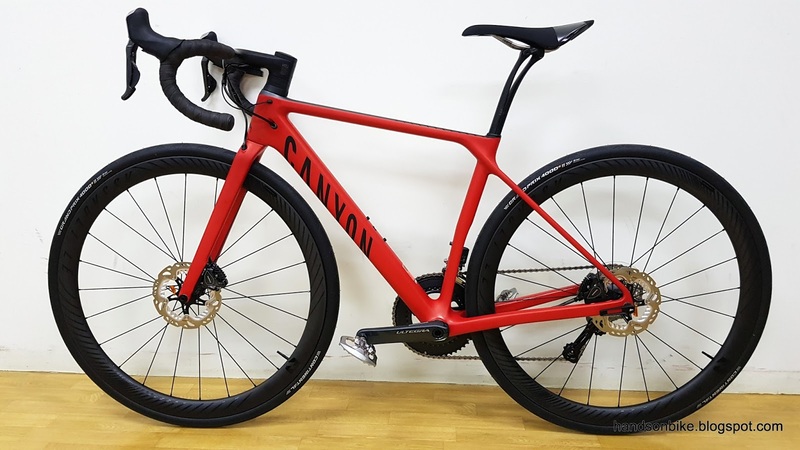 After much comparison and calculations, I decided upon the Canyon Endurace CF SLX Disc 8.0 Di2. This is the top grade Endurace frame, as denoted by the SLX tag. 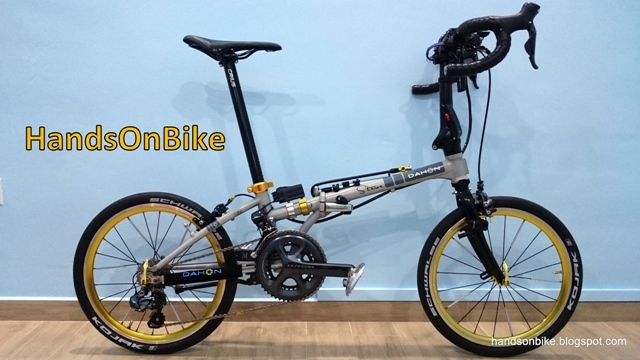 The normal price for this bike is USD 4499, which is quite a big amount to pay for a bike. As it was on sale, it had a USD 900 discount, which is a huge 20% discount. This lowers the price to USD 3599 and makes it more reasonable and achievable. Note that if you are buying a bike from Canyon, you need to take into account the shipping costs which are quite substantial. Also, you will need to pay for GST, which is also levied on the shipping charges! Even after adding all of these, it is still priced lower than other bikes of similar specifications that you can find in the local bike shops. Within 1 week of placing the order, the bike has arrived! This quick delivery is because the bike was already in stock, and it came via UPS. The bike came in a special bike box which claims to protect the bike better. It was really quite well protected, with all loose parts neatly velcro-ed together and safely cushioned. Assembly was quite straightforward, as only the handlebar, front wheel and seatpost need to be installed. All cables are already connected. Canyon Endurace assembled and ready to go! I really like the bold Kerosene Red colour scheme. 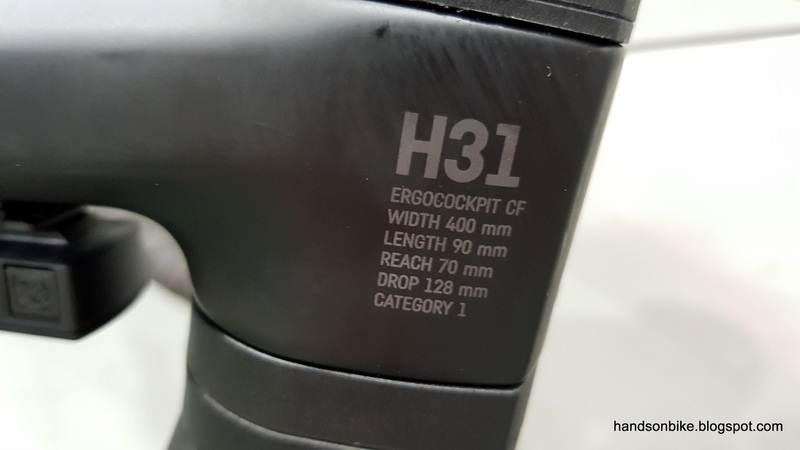 As an introductory post, I will highlight all the components on this new bike, just to take note of it in the stock condition. I already have plans to upgrade this bike, but it will take some time, so I shall ride it as it is in stock condition and enjoy it first! 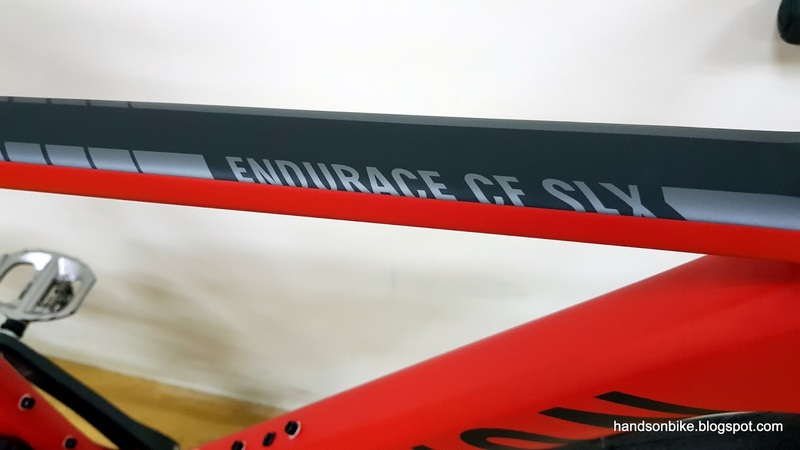 Endurace CF SLX frame, which is the top grade of road endurance frame that Canyon has. 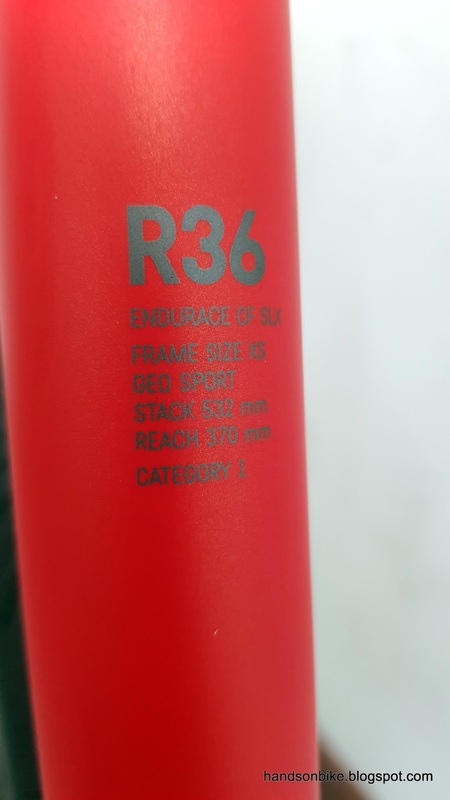 Model number for this frame is R36. Geometry for this frame is almost the same as the Merida Scultura 5000. 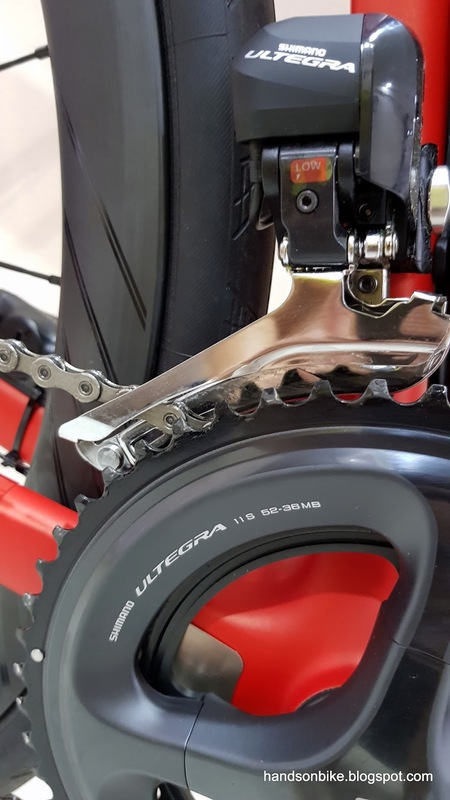 Ultegra 6800 11-32T cassette for wide gear range, together with the mid cage Ultegra Di2 6870 rear derailleur. Ultegra Di2 6870 front derailleur, and the mid-compact 52/36T Ultegra 6800 crankset. 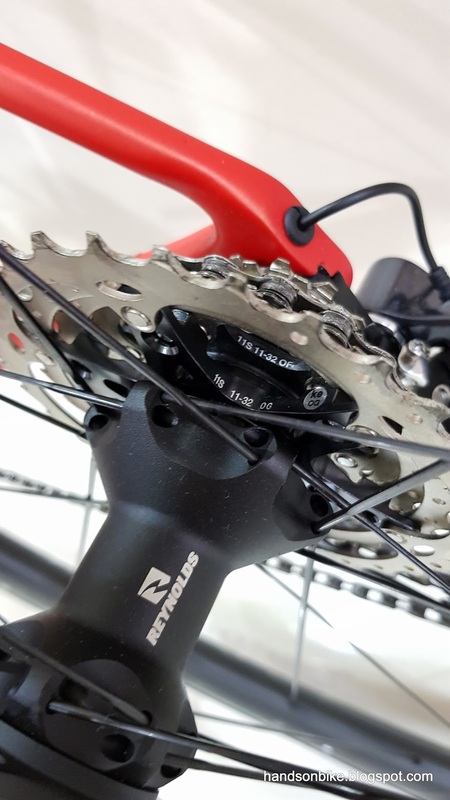 Together with the 11-32T cassette, this bike has a wide gear range of 31.5 to 132 gear inches. I think that this wide gear range was purposely selected for this bike. With the highest gear combination of 52/11, this bike can descend as fast as any race bike. 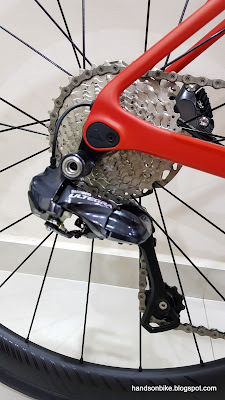 Yet, when the gradient gets steep, the low gear combination of 36/32 will come in really useful, especially on an endurance bike where it will be used on a wider variety of terrain. Press fit bottom bracket gives a nice integrated look to the frame, although it will be harder to remove it to access the inside of the frame. 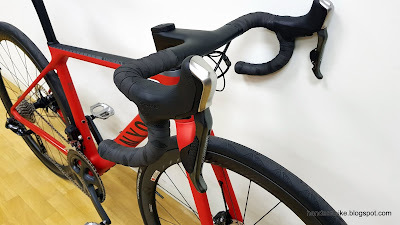 Fizik Aliante R3 saddle with a unique shape, on top of the equally unique VCLS seatpost that can flex rather alarmingly. 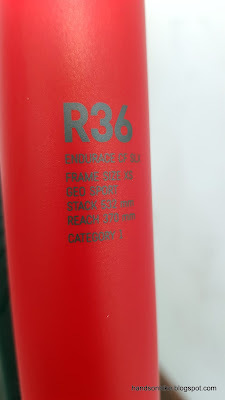 The seatpost will be studied in more detail in a later post. 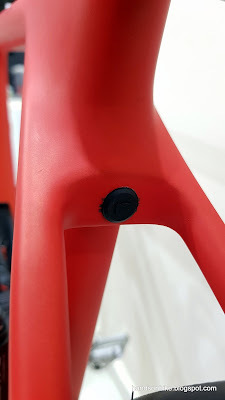 Seatpost clamp bolt is hidden neatly behind the seat tube, and covered by a rubber cap. Very clean and integrated design. Inside view of the seat tube. The external clamp bolt pushes on a plastic sleeve which clamps the seatpost inside the seat tube. The ST-R785 road hydraulic shifters, which I studied in greater detail in another post. I also changed to these shifters on the Avanti Inc 3, and I like them. 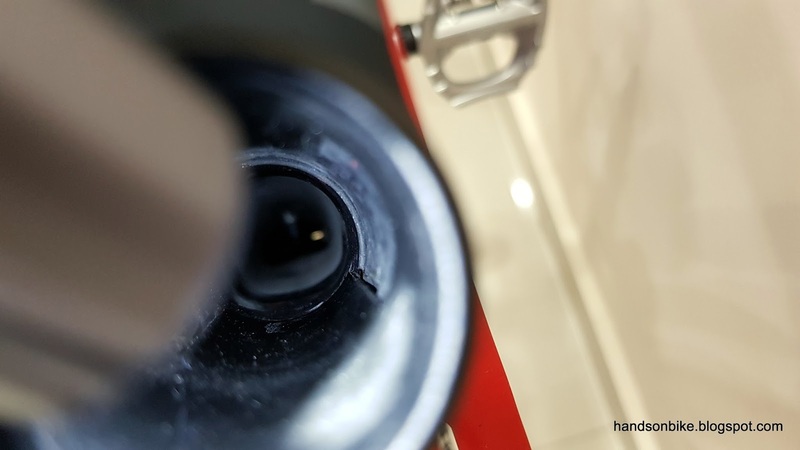 These connectors on the hydraulic hoses are the J-Kit connectors which allow for quick connection of the pre-bled hydraulic hoses. This bike comes with a one piece integrated handlebar, which means that the reach and angle of the handlebar cannot be adjusted. 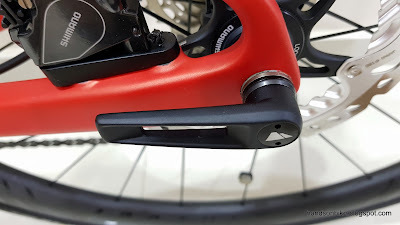 What you can adjust is only the stack height, by varying the number of spacers under the handlebar. 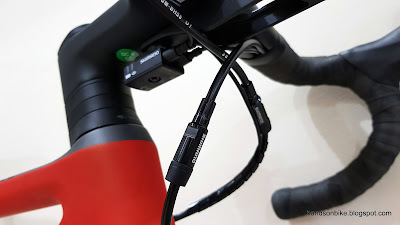 Hydraulic hose for the rear brake and the Di2 wire runs into separate holes on the head tube. Now for the non drive side view of the bike. 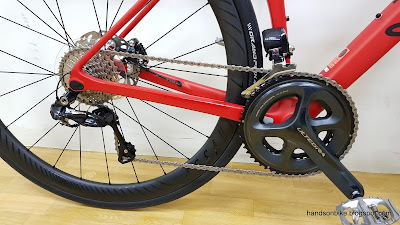 Normally the non drive side has nothing much of interest, but since this is a disc brake bike, this side is also very interesting. Non series Flat Mount hydraulic disc brake calipers, BR-RS805. Also comes with Ice-Tech brake pads for improved cooling. 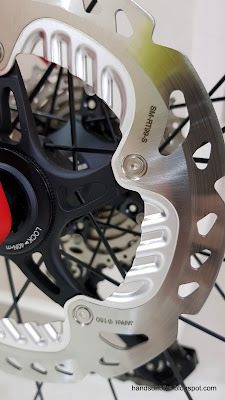 Top quality disc rotors, SM-RT99 with Ice-Tech cooling fins. 160mm sizes are used for the front and rear. 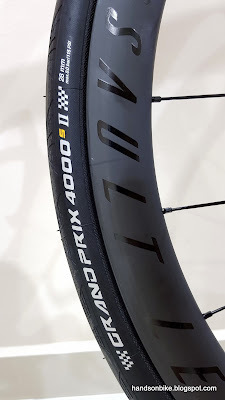 Good quality Reynolds Assault Limited Edition wheels, with Continental GP4000 28mm tires. 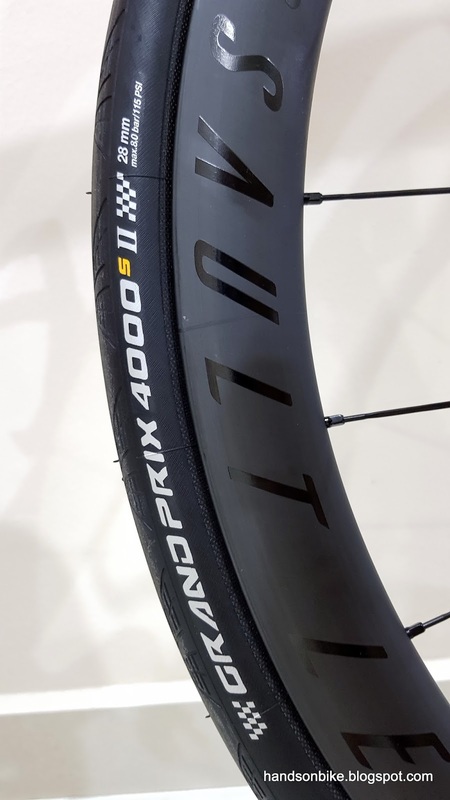 More details about the wheelset will be shared in another post. The 28mm tires measured 31.5mm when mounted on the wide rim. I wonder if there is any disadvantage here? Quick release lever for the 12mm E-thru axles. What is innovative is that the angle of this lever can be repositioned easily after tightening the axle. There is no quick release lever for the front as it shares the same lever as the rear E-thru axle! These E-thru quick release axles are quite innovative, as they are unlike anything I have seen before. 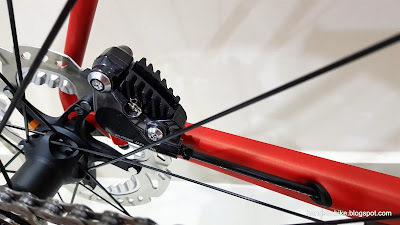 Usually, E-thru axles thread into a nut on the frame, and the nut position needs to be adjusted so that the lever will point in the desired angle when tightened. However, for this design, the nut angle does not need to be adjusted. After threading in the axle fully and achieving your desired torque, you can still adjust the angle of the lever separately from the axle. Pull the lever outwards lightly, and the lever position can be adjusted. If you need to remove the whole lever, just pull harder and the whole lever unit will detach from the axle. This lever can then be moved to the other wheel if you need to loosen the other E-thru axle. For more details check out this link. 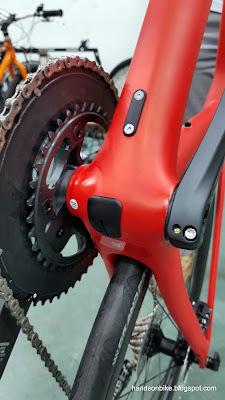 For weight weenies, you can even leave the quick release lever at home if you want, as you can use a standard 5mm Allen key to loosen or tighten the E-thru axle! That's all for the introduction of this bike, lots more detailed info to come once I have time to study the components further! Nice review, Thanks. Could I ask how tall you are and what size bike that is? I'm 168cm and that is a size XS bike. Hi there, nice review. Is there any reason why you chose to get this over the Merida Road disc bikes such as the scultura disc? Mainly due to the discount and that it includes good wheels. Hi, nice bike! Can give a breakdown of the GST, Shipping cost and total you paid for the Canyon. Bike alone is 3599 USD. Add 324 USD for shipping, then convert all to SGD. Then add 7% GST and you have the total. 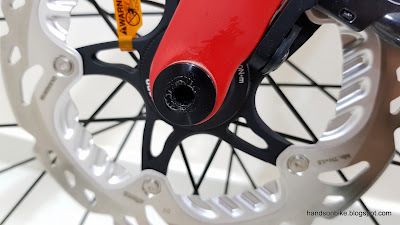 Canyon sells direct to consumers, you can't buy it in a shop. You can see other brands with similar specifications, most of them cost more. Hi Steve, thks for the reply. 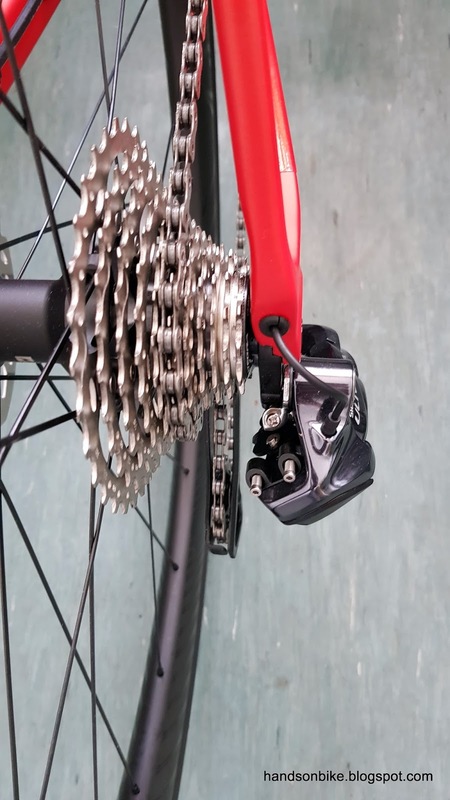 Is pedals included in the bike purchase or need to buy separately? do you need to pay any singapore custom duty? must buy or worth buying ? the canyon road bicycle with normal running shoes? Just the 7% GST and about 20 dollars of some fee. 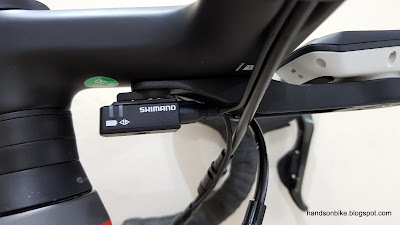 If you want to install a Garmin computer, you can add on the Garmin mount to match the integrated handlebar. 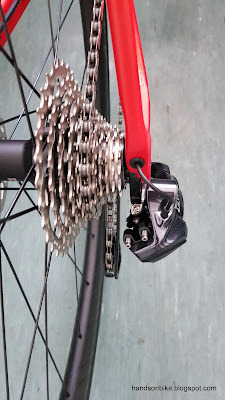 If you want, can also add on the spare derailleur hanger. Any flat pedals will work with the bike and running shoes. Just choose one that you like. Hi Steve, thanks for the reply. U mentioned u bought your bike during the tour de France period. Which is early July.is it the time u bought your bike? Besides this period, do u know of other period when they give discount? Canyon is having end of season sale now,but the discount not as good as yours. I read in some forums. Jan is the most expensive, every quarter will be cheaper till September. No idea when they will have discount again. I just happened to see it at that time. They were clearing stock for old Ultegra (6800, 6870) since the new Ultegra R8000 has just been launched. Enjoy reading your bike review! Any recent update on your Canyon bike ? Got a major groupset upgrade coming soon, stay tuned. hi steve, if im 176cm, i should take a M? Check out the sizing on the website, you might be between S and M size. I am looking to get the Endurace CF SLX too. Wanted to ask you since you have been riding it, does the bike feel fast as compared to say the Trek Emonda SLR6. Is the bike capable when doing climbs. I wouldn't know as I have not tried the Emonda. But this bike is different, you don't feel fast even though you are going fast. Reason is, on most road bikes, it feels fast because you feel vibrations from that road that translates into a stiff and light feeling. For this Endurace, the tires and seatpost dampens out this vibration. So it does not feel fast even though it is still fast.